Pop the latest issue Rhythm into your trolley at your local Tesco not only will you get the UK's best-selling drum magazine, you'll also walk away with a free pair of Vater drum sticks! Look out for the bagged issues in Tesco for the absolutely free Vater Los Angeles 5A sticks. 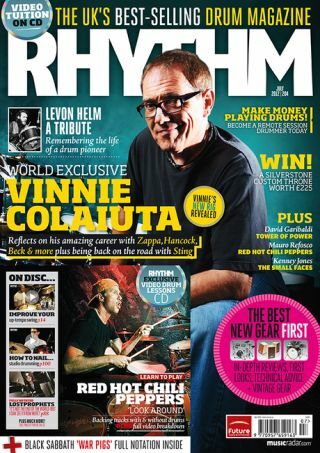 Of course you'll also get our huge Vinnie Colaiuta cover feature plus interviews with David Garibaldi, Kenny Jones, Mauro Refosco, James Hester's guide to remote session drumming, our tribute to the late, great Levon Helm and more. For more details about the issue head here.